You are here:HomeBlog[CASP]: Another Great Summer at CASP’s Camp. [CASP]: Another Great Summer at CASP’s Camp. Before we even entered Lucy Camp, we could hear the joyful shouts of children from afar. Groups had already been formed and everyone was preparing for the “Flower Holiday,” the one day each summer when camp children compete in order to give the best presentation on their favorite flower through songs, poems, and folktales. Once we arrived, we started to talk to the children, who shared their impressions of the contest with great excitement. It is the efforts of the Women’s Guild of the Diocese of the Armenian Church of America (Eastern) that make it possible for CASP beneficiaries to spend their summer playing, learning and making new friends at the scenic and peaceful Lucy Camp in Yeghegnadzor. 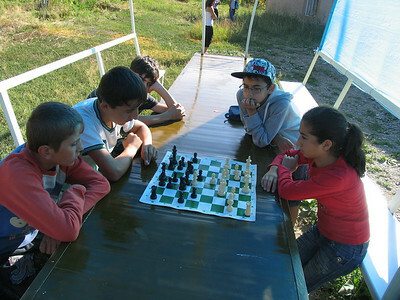 This year, 80 children from Shirak, Tavoush and Syunik were able to attend. 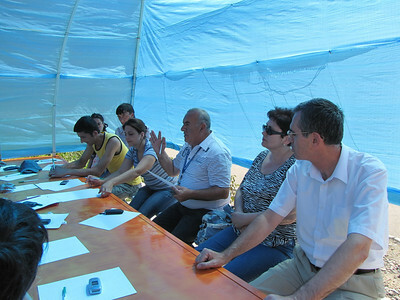 Camp instructor Onik Avagyan accompanied FAR staff on our visit and conducted a one-day training for camp instructors and group leaders. The children also participated in games and entertainment programs that he organized. 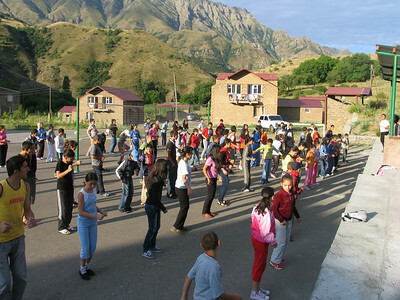 They learned several children’s songs and rhymes as well as some ethnic dances. The day concluded with a cheerful party, during which children led dance performances. The best teams received awards and prizes. We met some very interesting and talented children at the camp this year. Eleven-year-old Anna Hovhannisyan from Meghri was the best at chess, and she won the championship. Fifteen-year-old Artur Simonyan from Kapan, whose dream is to become an engineer, constructed beautiful churches made out of cardboard. And everyone was fascinated by the paintings of 15-year-old Nare Antonyan from Berd. All of us at FAR are so glad that these children have more enjoyment ahead of them this summer. From what we could see, all of them will return home with great impressions from the camp.